My goal going into this week was to maintain or gain 2 pounds or less. I obviously went a bit over that, but I am confident that next week I will take it all off and hopefully a few extra ounces at least! 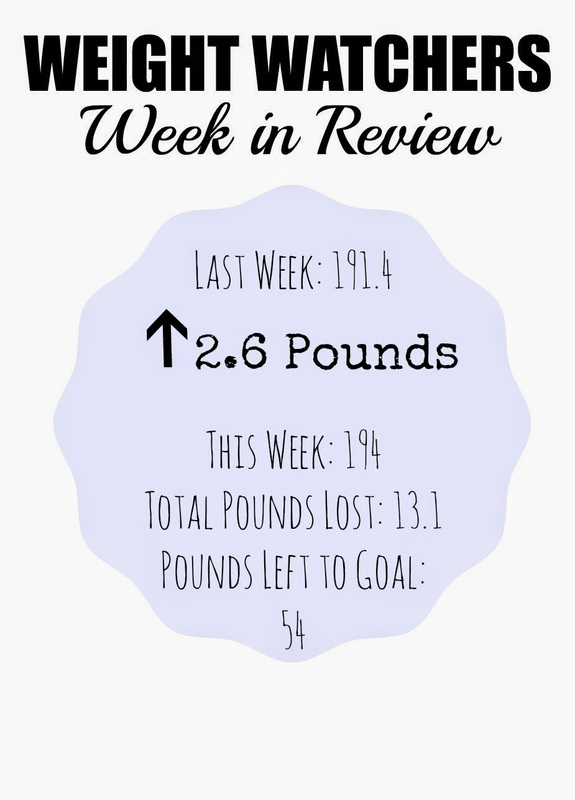 When I look at the total weight loss so far (13.1 pounds) in 7 weeks, it still averages right around 2 pounds per week! Fitness challenge with The Bohemian Housewife. Tuesday: Swimming or fitness center - 1.5 hours of swimming, lots of treading water! So now it is all work and no play this week! I really want to take off at least what I gained. That is just what I will need to keep up the motivation and momentum! Has anyone done T25, Piyo or both? Which do you think is better for weight loss? 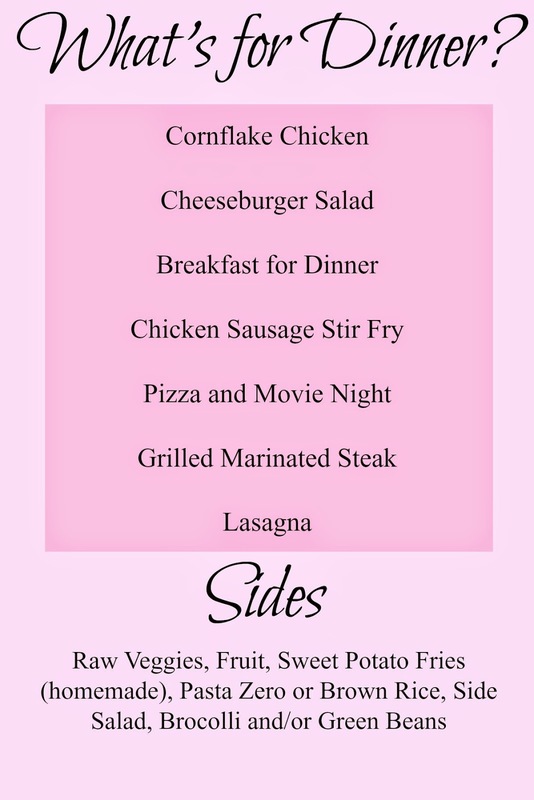 Linking up my meal plan with the Laura's and Jill! I hope everyone has a great week! Come on back tomorrow for my Books and Blogger Swap Reveal! Can't wait to share what I received in my package! You did really awesome, I so need to get back on track!